Some days are just slow days. Usually a Sunday when the weather is grey. You wake up late. Lose track of time. To-do lists fall to the wayside. And the best food for such a day of rest? For me there is only one. 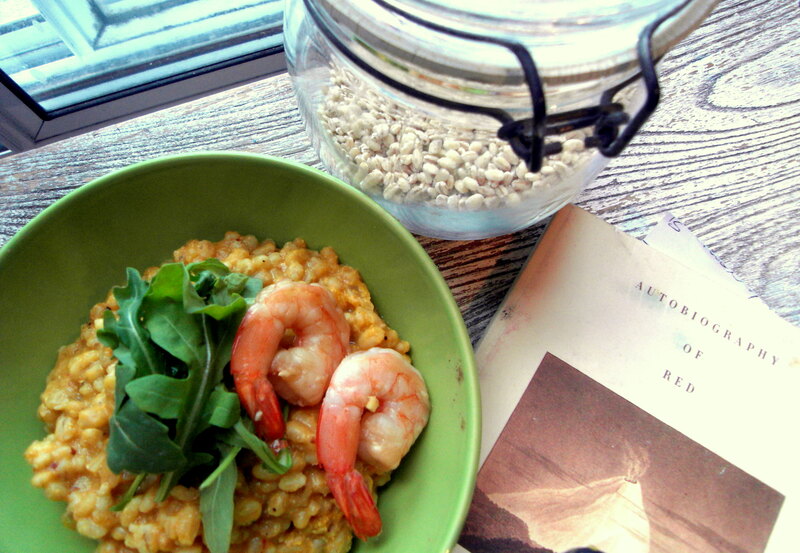 RISOTTO. 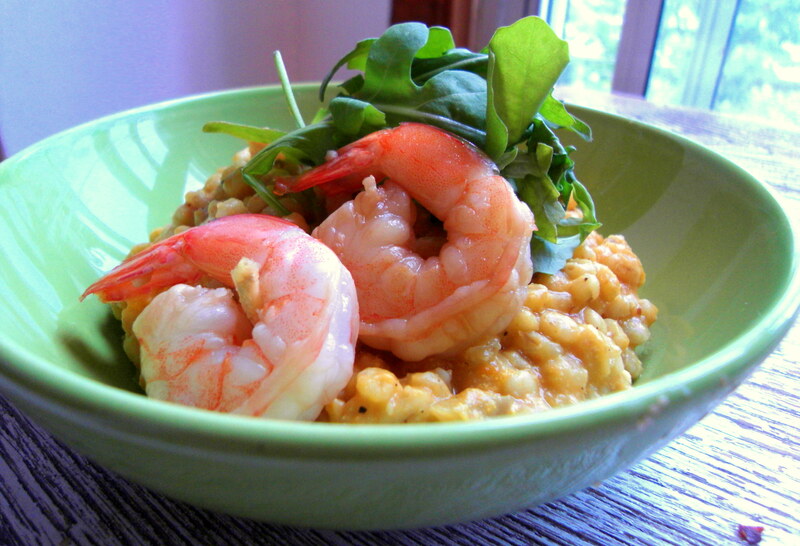 Contrary to popular belief risotto is not a rice dish but a preparation method. It can be made with any delicious whole grain you like, however you must adhere to one simple rule. Take it slow. Adding liquid to the pan one cup at a time makes the dish creamy, delicious and indulgent. Certainly worth a little extra effort. Begin by sauteeing shallot and garlic in a large pan using a little oil or broth until fragrant. Then add in barley and about 2 cups of liquid. Heat to boiling and then reduce to a very low simmer. Continue adding liquid in this way for about 40 minutes until barley is fully cooked. Next add the remaining ingredients and heat to a boil. Reduce once again to a very low simmer until all liquid is absorbed and the mixture has thickened. Top with arugula and your protein of choice and serve with a side of greens or salad. OMG. I love ‘Autobiography of Red.’ I just had to sell my copy because of the move and I was so sad to see it go! This looks amazing, it’s going in my “to try” pile of recipes!